This week I took a lot of pictures around my building of all the springtime art decorations. We also had a great field trip to the zoo!! 1. The teacher made her door into a giant beehive and if you look really close you can see the paperplate bees that are hanging from the ceiling. The students painted the stripes and then their photo was the head of the bee....super cute!! 2. 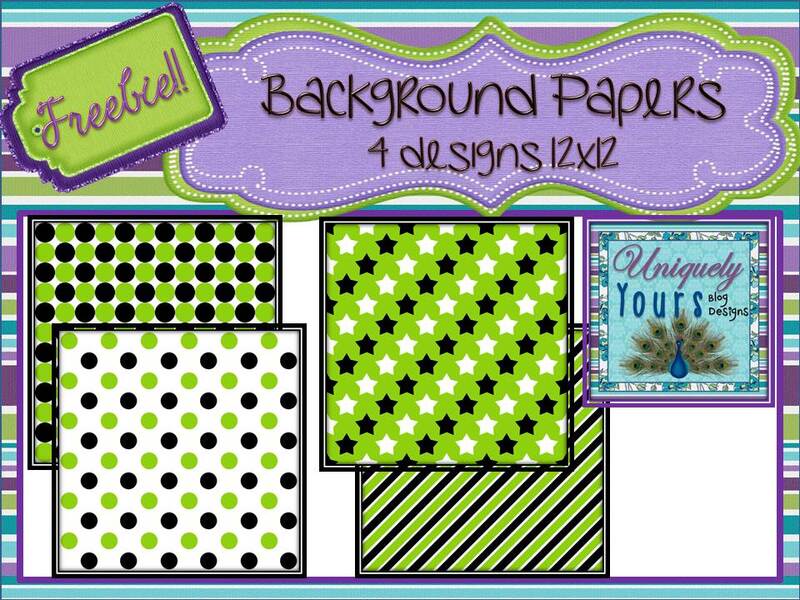 (top center) Another cute paper craft...ladybugs with paint dauber spots. The ladybugs decorated the bulletin board on the bottom middle row. 3. 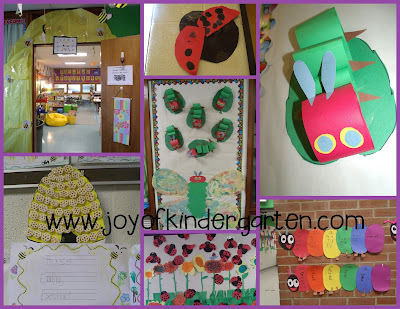 (top right) Colored strips of paper glued to a leaf shape cutout and voila...it's the very hungry caterpillar. The children then worked cooperatively to paint the wings. The center picture is our bulletin board in the hall. It's super cute and all 'kid-made'. We get compliments every time a class passes our room. 4. (bottom right) You can't completely see it but those are 'word family' caterpillars. 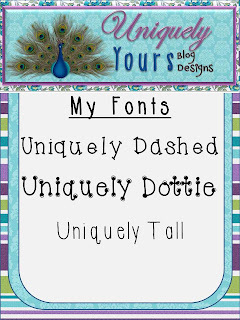 Each oval has a different word family. Super cute and colorful aren't they? 5 (bottom middle) Ladybugs and flowers made with colored paper and paint daubers. 6. (bottom left) Honeycomb cereal bee hives with a "BEES' poem. 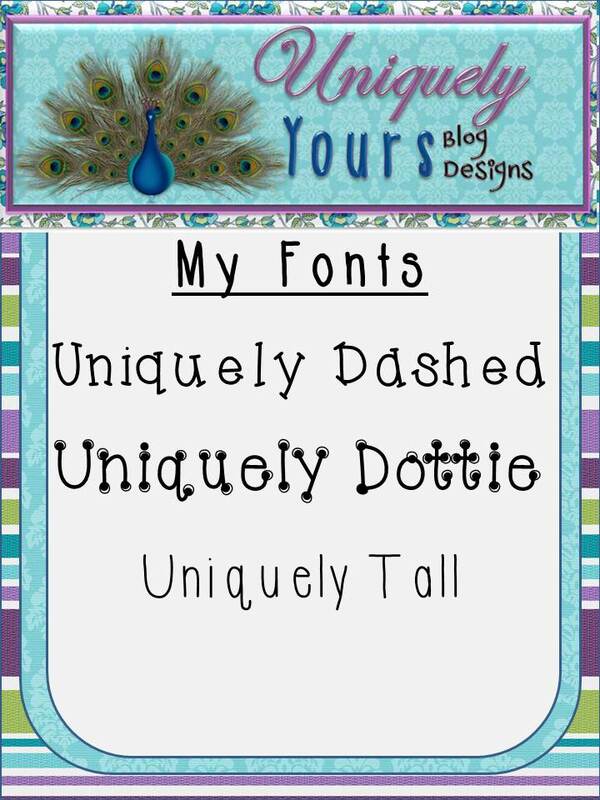 I made a few more fonts this week and I will get them loaded onto my FB page as this week's Fan Freebie. Here's a peek at how they look. You can grab a copy for free just by 'liking' my Facebook Fan Page. 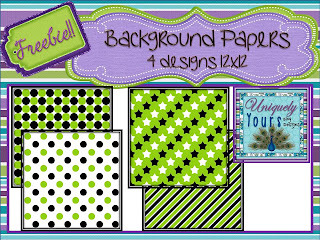 If you are a fan of backgrounds I will have this freebie available on my Uniquely Yours Blog Design page.